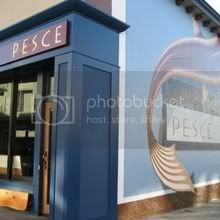 I had the most delightful dinner at Pesce (http://www.pescesf.com/)! Its an Italian seafood tapas bar on Polk St in Russian Hill. If you're in the San Francisco area, I highly recommend it - especially the Lobster Spaghetti and the profiterole desserts!